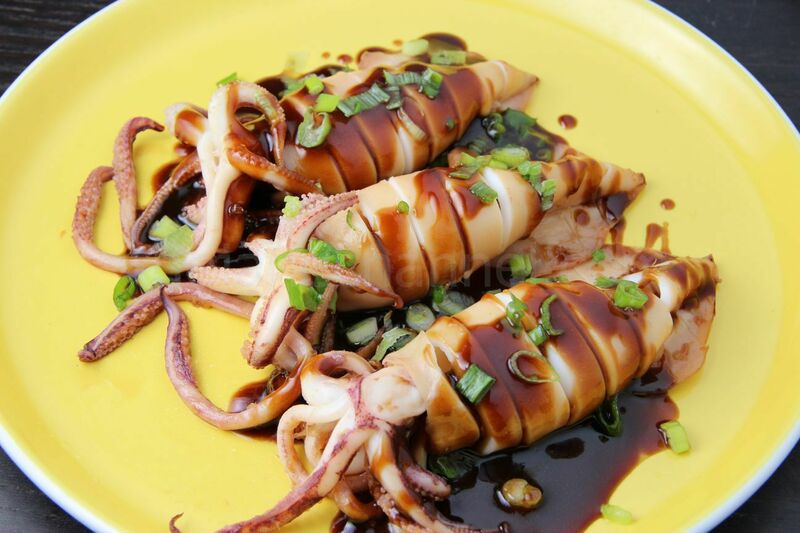 While the dish is named “braised” squid, the cooking time is actually very short. 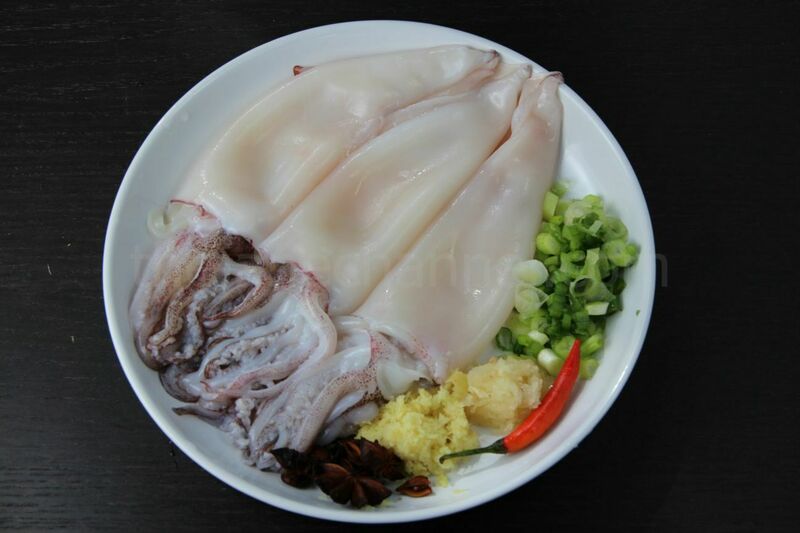 Squid, like some other seafood, can be cooked very quickly until just done, or can be simmered for a long period of time until very tender. Anything in between, and the squid will be very tough, with a rubber band texture. Wash and pat dry the squids. Heat wok over high heat and pour in 1 tablespoon oil. Add ginger and garlic, cook until fragrant. 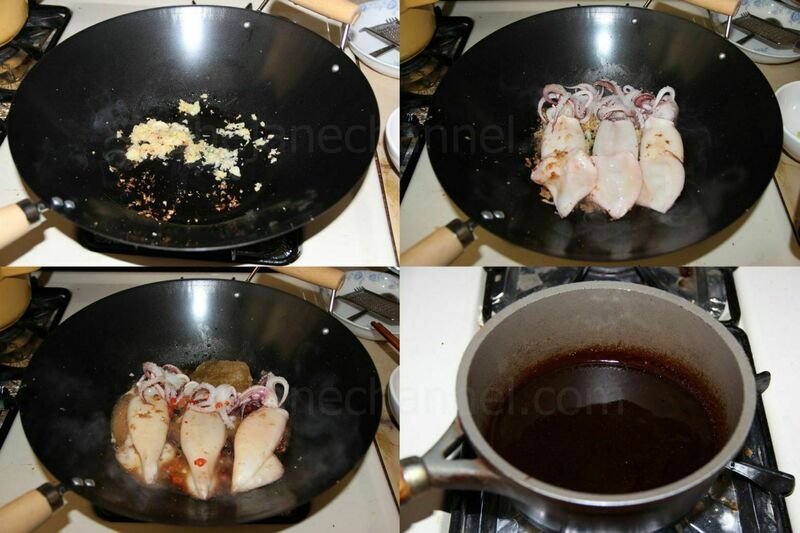 Add squid and lightly pan fry the squids on both sides, until the squids just turn opaque on the outside. Add cooking wine, rock sugar, star anise, birdeye chili, soy sauce, dark soy sauce and 1/2 cup of water. Drain the mixture through a fine sieve into a bowl, reserving liquid; discard solids. Pour the mixture in a saucepan. In a small bowl, combine 1 tablespoon of corn starch with 2 tablespoon of water. Bring the mixture to boil. Add the corn starch mixture to the saucepan. Bring it to boil then remove from heat. Let the squids sit for 10 minutes or until cool before slicing into rings. 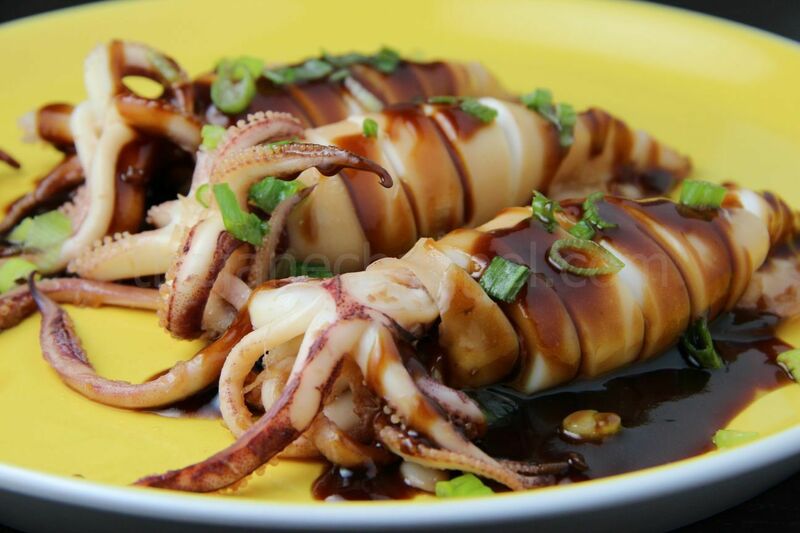 Pour the sauce on top of the squids and sprinkle some chopped scallions to serve.